Milwaukee is a small city with a lot to offer business owners from breweries to restaurants to commercial property owners. Along with having some of the best tasting and most rigorously purified drinking water, our businesses are keeping up with national trends. Green roofs, or rooftop and on-site gardens is an exciting idea that several local restaurants have taken advantage of, bringing new meaning to local produce and reducing energy costs. Another trend local bar and restaurant owners are picking up on is wine on tap – a cost effective and delicious way to increase wine sales at your business! Breweries like Milwaukee’s own Lakefront Brewery are serving up some of the best brews in the Midwest. Consider getting their IPA on tap in your establishment. #DineSmall is another way restaurants and breweries can get the word out about the importance of innovative local businesses. It follows Black Friday each year! Milwaukee is full of great people, and in order to get great tenants, city landlords should advertise their property’s proximity to all the city has to offer, including great local businesses. Landlords can also attract desirable tenants with well-kept spaces and energy efficient appliances to keep costs low for everyone involved. 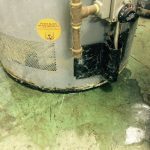 Renting a water heater can be another great way to keep costs down for any type of business, as well as providing the security needed in the event of water heater failure. Reliable Water Heater provides equipment rental and service plans to businesses in Milwaukee and all over the state of Wisconsin. The Midwest has hundreds of breweries, taprooms, gastropubs and other businesses pumping out beer on a daily basis. Let’s take a look at the best beer in the Midwest. Seeing as the Midwest known for amber waves of grain, it makes sense it would also gain a reputation for producing some of the country’s heartiest beers. Milwaukee and St. Louis have been brewing hubs for decades. The craft beer explosion has also roped in brewers from small towns featuring big tastes. If you’re looking for a new brew to sell in your restaurant or something to inspire your brewmaster, check out the beers we’ve selected here as the best beer in the Midwest. This new seasonal tradition is giving small businesses the attention they deserve when holiday madness strikes. Black Friday is a uniquely American tradition. Thanksgiving weekend is well known as the kickoff to the crazy rush of sales that signals the beginning of the holiday shopping season. In the rush of amazing sales and unusual opening times, small businesses unable to afford big advertising pushes or big price drops can often get left out in the late November cold. A newer tradition, Small Business Saturday, recently began to create awareness of local businesses and small shops that need holiday dollars just as much, if not more, than the big box stores. A new trend is sweeping the nation, and we can guarantee that you’re going to want to hear about this! A bar should be an inviting place where people want to spend their time. They want to enjoy themselves enough to spend some of their hard-earned cash at your restaurant or bar establishment. We know. You get it. That’s great and all, but there is a big difference between a friendly neighborhood watering hole and your competition across the street that offers all you do, plus the conveniences of a 21st century establishment. Every landlord faces the same challenge: finding and keeping good tenants. It can be a lot harder than you might think. At the same time, it doesn’t have to be difficult if you understand what a good tenant is and what they look for in a rental property. There are a number of factors to consider when trying to attract responsible tenants. Some are obvious, but others are much less so. Figure out what these factors are and you’re on your way to saving (and making) money.